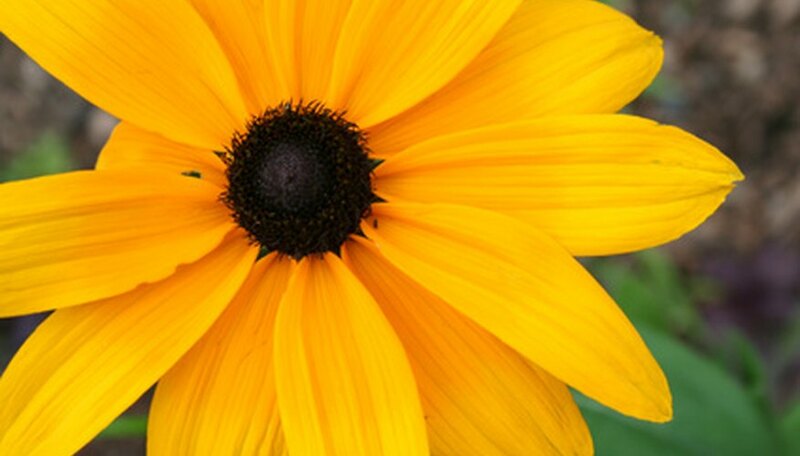 With its cheery golden yellow petals and dark-eyed centers, black-eyed Susan (Rudbeckia fulgida) is a native American wildflower and an old-fashioned favorite in the flower bed. Black-eyed Susans are prolific bloomers from midsummer to autumn and will bloom even more if you cut the flowers for bouquets as often as you like. Black-eyed Susans will benefit from being divided every three to four years, and you have brand-new plants at very little cost that you can use or share with friends. Divide black-eyed Susans in early spring, when new growth is just beginning. Prepare a garden spot for the divided black-eyed Susans at least a day prior to making the divisions. Choose a spot in full sunlight where the soil drains well. Use a shovel or a garden fork to cultivate the soil to a depth of 10 inches, and work an inch of compost into the top of the soil. Water the black-eyed Susans the day before you plan to divide them. If possible, divide black-eyed Susans on a cloudy day, as dividing the plants on a hot day will cause the black-eyed Susans to dry out quickly. Dig the clump of black-eyed Susans with a garden fork or a spade, and lift the clump carefully out of the ground. Brush off the excess soil around the roots. Separate the black-eyed Susan into smaller sections as you carefully tease the roots apart with your fingers. If the roots are snarled, cut them apart with a trowel or spade. Be sure each divided section has at least three to five shoots and a healthy set of roots. Put the divisions in the shade and keep them moist until you're ready to plant them. Plant the black-eyed Susans in the prepared garden spot, allowing 12 to 18 inches between each division. Keep the soil moist until the roots are established, which is indicated by the appearance of new growth. After that time, black-eyed Susans only require water during hot, dry periods.